While driving on the roads of India, you don’t know what will be waiting for you. Your car might get involved in any collision and sometimes it gets stolen as well. That is why protecting your vehicle is utmost important. Apart from this, four-wheeler is treated as one of most important assets in everyone’s life. To provide protection to this asset, it is absolutely necessary that every car-owner must have a four wheeler insurance plan and furthermore the same has been mandated by the law as well. SBI car insurance plan offers comprehensive tailor-made products to meet the requirements of customers. So whenever you think about the insurance policies about your car you must consider SBI car insurance policies. The fully government owned SBI General Insurance Company Limited offers ample of benefits to their customers. This insurer carries some unique and exclusive features which will be helpful to target all types of customers. Following are some of the best features and benefits of SBI General car insurance policies. ✔SBI car insurance policy provides a compulsory Personal Accident Plan for the car-owners and it is available if the owner holds a valid driving license while driving. ✔Motor policy offered by SBI General Insurance provides legal liability coverage for the third party. ✔SBI car insurance online offers 16000+ cashless network garage services across India. ✔Under SBI car insurance policy, you can avail discount on the premium. This feature is available if you opt for a Voluntary Excess in addition to the Compulsory Excess. ✔Damage/losses to the vehicle caused by natural calamities or man-made catastrophes are included in SBI General motor insurance policy. ✔It offers various add-on covers like Zero Depreciation or Nil Depreciation, NCB protection, additional legal liabilities toward the paid drivers and employee. ✔If you buy SBI General car insurance, you can enjoy the benefits of CNG LPG Bi-Fuel Kit. ✔You can buy or renew SBI car insurance policies online without any hassle. ✔SBI General Insurance Company Limited has more than 18,000 IRDA certified employees and they provide efficient services to their customers. What Does SBI Car Insurance Policies Cover? Third Party Liability:SBI car insurance online provides coverage against loss or damage to third party property or the death of the third party. SBI General third party car insurance is designed to cover the obligatory third party liability as required by Indian motor vehicle law. ✔Flood, Lightning, Earthquake, Typhoon, Storm, Hurricane, Tempest, Inundation, Cyclone, Hailstorm, Frost, Landslide, Rockslide. Personal accident cover:SBI General Car Insurance Policies offer personal accident cover of Rs. 2 lakhs for individual owners. This plan is available only if the owner of the vehicle holds a valid driving license while driving. This policy is not applicable for a company-owned vehicle. Bi-fuel-Kit: By paying some additional premiums, you can enjoy the benefit of The CNG-LPG bi-fuel kit. Nil Depreciation:Under this SBI car insurance online plan in India, the company will cover the insured without deduction for depreciation on parts in respect of approved partial loss. In other words, 100 % repayment will be covered on payment of additional premium. No Claim Bonus:As per SBI General motor insurance policy in India, you can avail No Claim Bonus or NCB protection on payment of additional premium. Under this NCB protection, your policy is renewed with SBI General Insurance and you do not need to switch to another insurer. Cover for Key Replacement: The Company will reimburse the cost of replacing the vehicle keys in case of lost or stolen. Renewing car insurance plans are extremely crucial for protecting your vehicle from any future emergencies. You should set reminders for your SBI General car insurance renewal dates so that you never miss your plan’s renewal date. SBI General car insurance online renewal is exceptionally easy, smooth, quick and user-friendly. You can renew your SBI General auto insurance plan with just a few mouse clicks. To complete the SBI General car insurance online renewal, you need to follow the below-mentioned steps. ✔To renew SBI General Auto Insurance online plans, at first, you have to log into the online portal of the Company. ✔Then select Four Wheeler Insurance renewal tab and click on ‘Renew’ option to initiate your SBI General car insurance renewal process. ✔After that enter plans details and click on ‘Renew Policy’ for instant SBI car insurance online renewal. ✔Thereafter you will be diverted to the premium payment page. Pay the premium digitally for the successful completion of your SBI General motor policy renewal. ✔Once you have done the payment online, you will receive an authentication mail in your registered mail id. 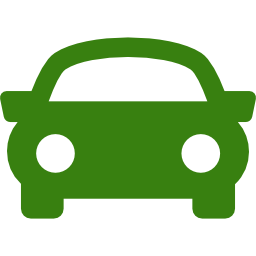 You can download and save your SBI General car policy renewal details for future use. SBI vehicle insurance in India is reasonably priced and cost effective. This insurer provides an easy-to-use online platform for renewal or purchasing insurance plans. So, it is always recommended to buy SBI General car insurance. You can also buy SBI General car insurance policy from the online portal. With the easy access of internet, you can now purchase SBI four wheeler insurance plans from anywhere in India. However, you should compare four wheeler insurance quotes if you want the best SBI vehicle insurance policy.